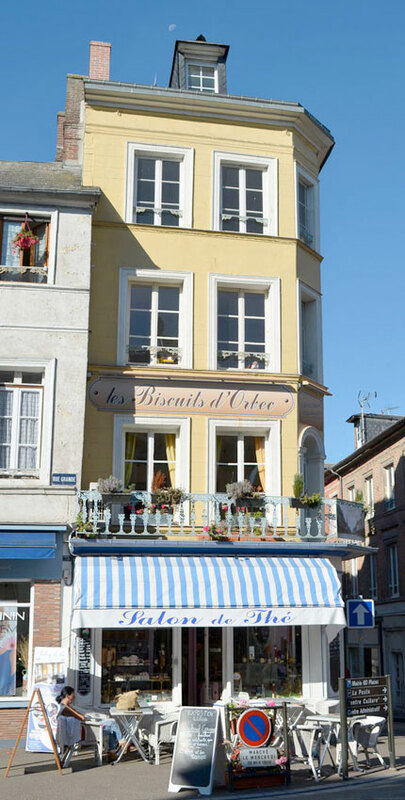 Situated in the charming heart of Orbec, “Les Biscuits d’Orbec” produces the best that Normandy has to offer for those looking for authentic regional specialties. Established in 1880 and taken over in 1929 by the Domer family, this charming pastry shop produces tasty baked goods and other specialties from Normandy including apple tarts, special chocolates and Rouen Mirliton. Chantal and Jean-Jacques Acher have recently taken over this pastry shop and are bringing a new flair to the Domer family traditions of baked cookies, lemon tarts and delicious fruit jellies. Discover the box of Norman homemade cookies and chocolates, produced with authentic Isigny butter and fleur de sel. There are also freshly made meringues and homemade ice cream and sorbets. And browse through the shop to find a wonderful selection of locally produced regional products including cider, Calvados, etc. Each weekend and on public holidays, Jean-Jacques will show his baking skills, preparing a delicate and delicious millefeuille right before your eyes. During the Camembert Festival, connoisseurs will be delighted by an original chocolate dessert infused with camembert. “Les Biscuits d’Orbec” has a pleasant spot to sit in front of the shop, and Chantal and Jean-Jacques have renovated the charming first floor tearoom, enhancing the spirit of the original décor. 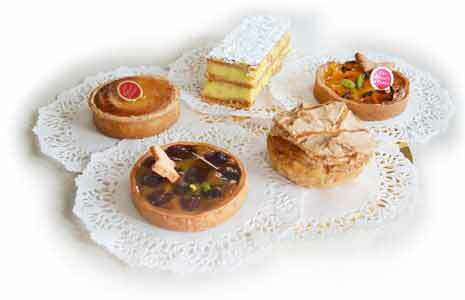 And for your pleasure, the owners always invite a wide the pastry and culinary art museum. You will be pleased if you pay a visit soon.